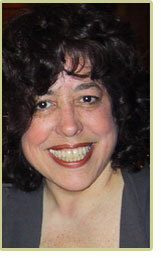 Dr. Judith Mazza has been consulting with and teaching therapists in the field since 1979. She formerly was Clinic Director of the Family Therapy Institute of Washington, D. C. and currently is on the faculty of the National Naval Medical Center and the Walter Reed Army Medical Center. She provides consultation to psychologists, psychiatrists and social workers who have completed their professional training and are practicing in the field. In addition to consulting to therapists individually, Dr. Mazza is known for her teaching workshops. An invited presenter for many professional associations and conferences, she has published a number of professional articles. Her writings include material on supervising therapists as well as creative and effective therapy interventions. Known for her work in brief therapy, other professionals often refer to her as a "therapist's therapist."